Decent, does it’s job if you’re new although it can be swiftly replaced by other means that are also free but not heavily infested with ads. 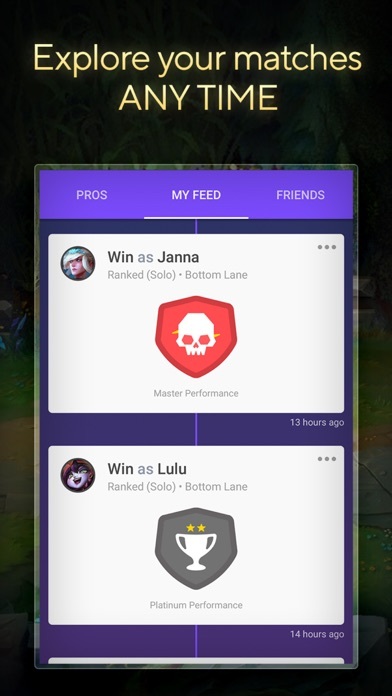 GET this app if your big about League of Legends! Let me say that this app is truly a gift! 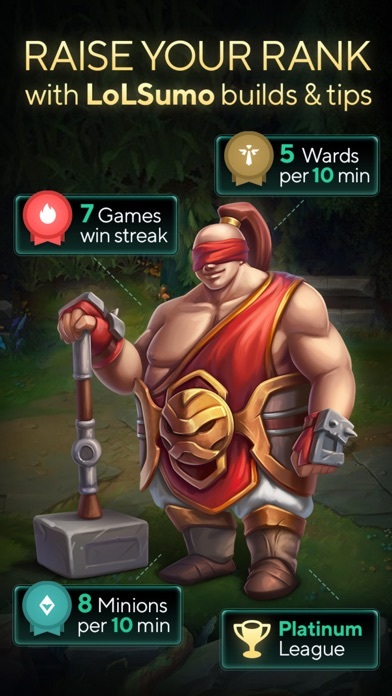 It has so much knowledge and information you can study/learn about the game weather it be items, champions, tunes, or truly anything it’s here! Active updates also!!! First off, it is an amazing app, but here as of recent, the ads have just become too much. It use to not be that bad, but now after every game look up, there’s an ad, it’s just become too much, so I have been resorting back to OP.GG. 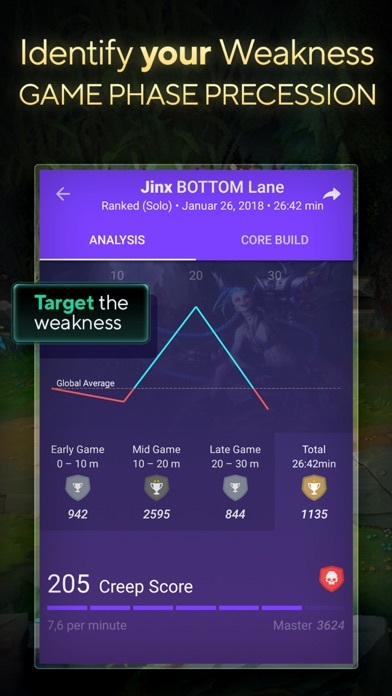 This app is very helpful in climbing ranks! So, they’ve put video ads onto the app, which pop up randomly, and you can’t skip them for several seconds. I’d had this app for several years, and found it helpful for stats, but imprecise, and I never could justify paying a subscription (had it been a reasonable 1-time fee though, I probably would have purchased it). The ads are a dealbreaker for me, it’s off my phone now. It’s a helpful app, but intrusive ads ruin it for me. New runes. So change it up. Thanks. 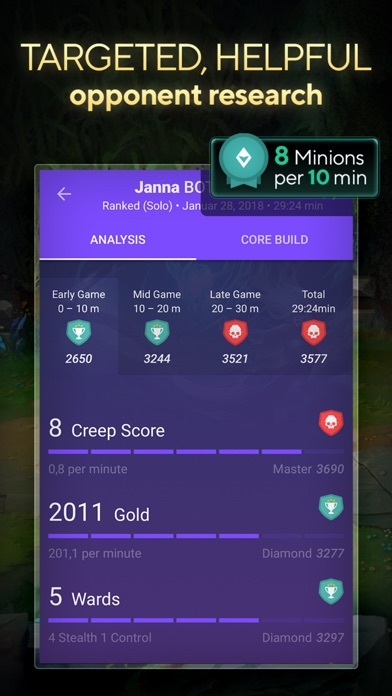 I don’t want my score being judged off of my CS and gold when teams will get tilted at me for taking too much CS, thanks. Also, pop up ads every 2 clicks if you didn’t purchase pro. No thanks. 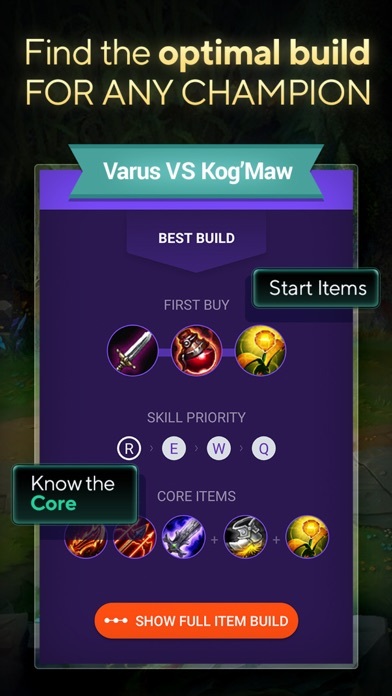 This app is great and it helps me a lot with both the runes that I use for my characters and often the build I use. I also love that it sometimes earns you about certain abilities your enemies have and how to avoid being attacked by them. However, it doesn't update nearly often enough. Currently it still has several runes that don't even exist anymore. It also took a long time for the creators to update when the new version of Akali came out. It's useful but if the creators would pay more attention to the updates Riot makes to LoL it would be 10x better.